As summer nears, we begin to shed layers of clothing, which can sometimes be a reminder we still need to shed a few pounds. Though the first impulse may be to start a restrictive diet, eating food, can actually help fight the bulge. To take it one step further, eating fat can actually help people trim down and lower cholesterol, according to a 2016 study published in Circulation, a weekly peer-reviewed journal published by the American Heart Association. 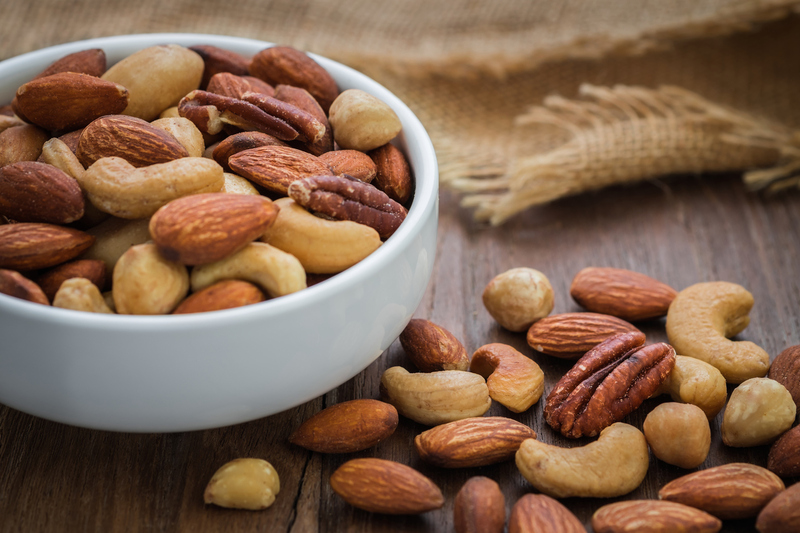 Eliza W. Savage, MS, RD, CDN of Middleburg Nutrition, who works with clients in New York City and Long Island, provided five foods that fight fat. The good-for-you monounsaturated fat in avocados can help people feel fuller longer, making a walk past the office candy jar a little easier. “Fat prompts satiety as it’s digested slower than carbohydrates and protein,” Savage said. 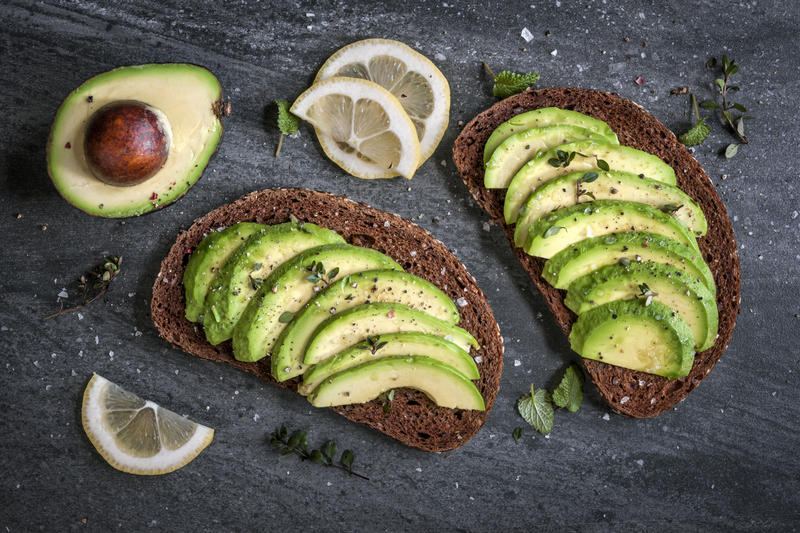 Avocados also contain 975 milligrams of potassium, more than twice that of a banana, which helps build muscle strength (and therefore fight fat) and reduces stress (and therefore prevent stress eating). Savage loves to throw a slice of avocado on whole wheat toast. “Adequate protein…at each meal is important. [It] will help stabilize blood sugar, which will modulate insulin levels.” Insulin is a key ingredient in regulating fat storage. “When insulin levels spike, the body uses the free glucose in the bloodstream for fuel instead of stored fat. 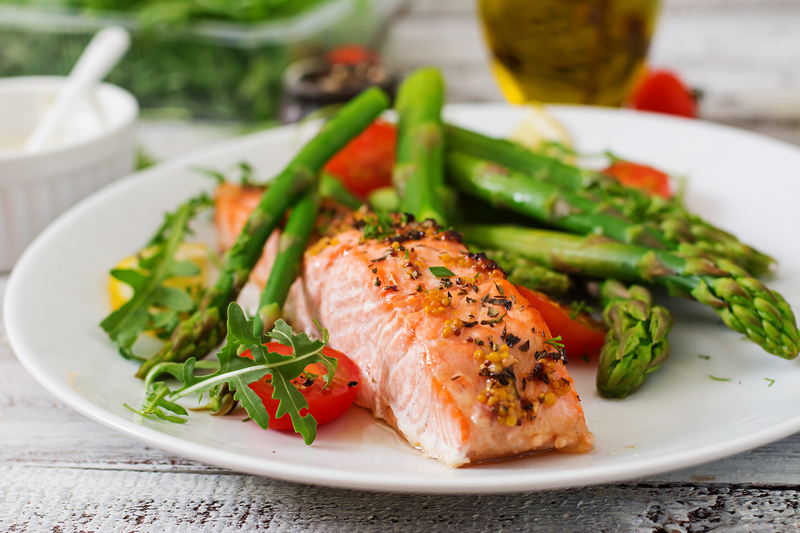 By eating adequate protein, as well as healthy fats in combination with complex carbohydrates, you will help to offset the insulin response.” As for healthy fats, salmon’s got ’em. The fish contains omega 3 fatty acids, which are known to promote positive heart health, fullness and even a good mood. In other words, forget the tub of Ben & Jerry’s after a tough day at work and fillet a salmon instead. No energy? Drizzle some olive oil on canned salmon and serve with boiled brown rice and veggies. 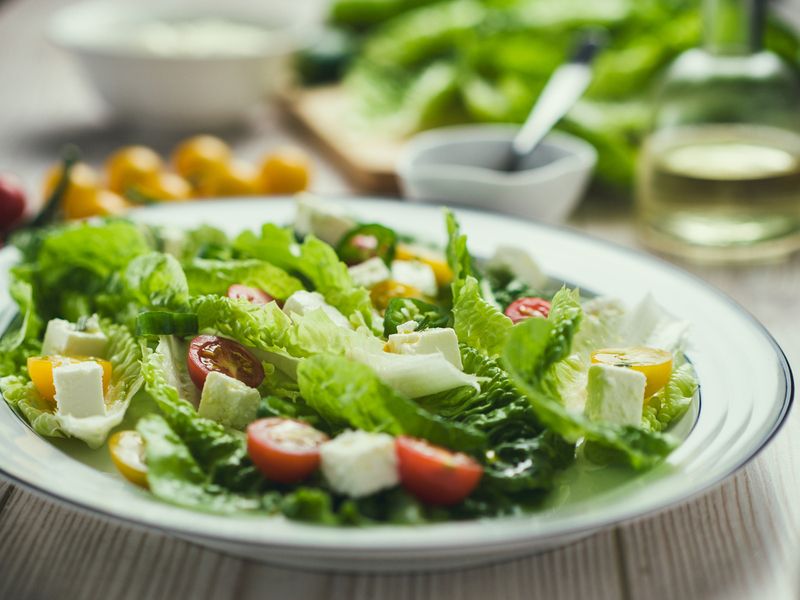 Veggies are a no-brainer when it comes to slimming down, even for those considering a more restrictive diet. Soluble fiber absorbs water and forms a gel that slows down digestion, which allows eaters to maintain a feeling of fullness. Savage warned to go light on cruciferous vegetables like cabbage and brussels sprouts or be sure to eat them slowly—they can lead to bloating. Yup, more fat. Additionally, nuts like walnuts are a good source of magnesium, a mineral that promotes relaxation, hormone control and sleep. “Better sleep equals less belly bulge.” Get into Zen mode by grabbing a handful of walnuts or spread nut butter on a slice of whole wheat toast. Carbs tend to top the no-fly list as bathing suit season nears. It’s not the best idea, cautioned Savage. “Whole grains, including oatmeal, can be very beneficial.” Instead of nixing carbs completely, swap refined crabs like white pasta and sugary cereal for whole grain pasta and oatmeal. 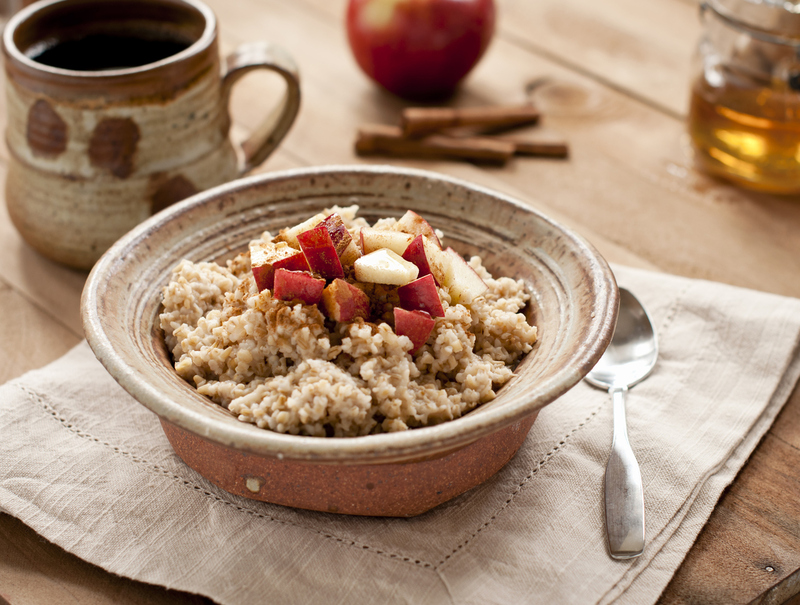 Whole grain oatmeal typically contains four grams of fiber. And when it comes to oats, fiber doesn’t just signal satiety. “The beta-glucan fiber in oats [has] been shown to reduce LDL and total cholesterol levels, reduce blood sugar and insulin variability and increase healthy gut bacteria.” To beat bloat while fighting fat, Savage recommended soaking grains in oats. Besides oatmeal, some of her favorite gains are buckwheat and quinoa, both healthy alternatives to white pasta and rice.